Customers can avail from us a quality array of Inorganic Compounds which are widely used in various industrial applications. Our Inorganic Compounds are made in accordance to international industry norms and are of the paramount quality. We use superior quality chemicals to prepare these compounds and assure our customers that these products are excellent. 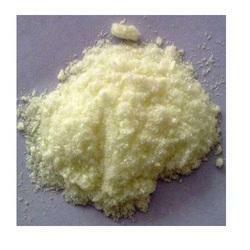 We are widely acclaimed for the superior quality and high efficiency of our Inorganic Compounds. We are offering Ammonium Acetate to our clients. 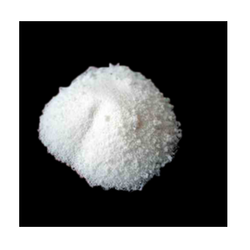 We are instrumental in offering a high-quality range of Calcium D Pantothenate (CDP) to our valuable customers. The offered product is processed using quality ingredients and advanced technology as per the set industry norms under strict hygienic conditions. 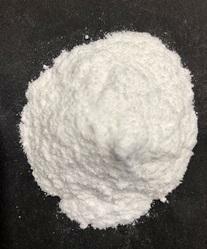 We are engaged in offering a highly effective and pure Calcium Nitrate. 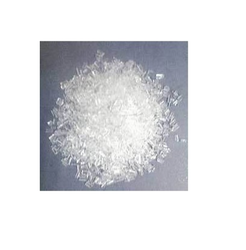 This chemical is available in white crystalline texture and is used in forming various other compounds and products across different industries. 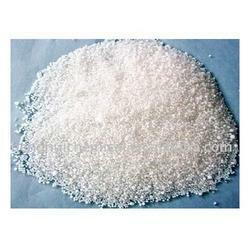 Clients can avail calcium nitrate in various packaging. Total Nitrogen, % w/w 15.5 Min. Ammoniacal nitrogen,% w/w 1.1 Max. Nitrate nitrogen, % w/w 14.4 Min. Water soluble calcium, % w/w 18.8 Min. Moisture %, w/w 0.5 max. Matter insoluble in water, % w/w 1.5 max. Iron %, w/w 0.005 max. Chloride %, w/w 0.0025 max. We are offering Ferric Nitrate to our clients. Used as catalysts and dye mordants. We are offering Ferrous Sulphate - Anhydrous to our clients. This product may have wide application in different fields like agriculture, Chemicals, paints and for water treatment. 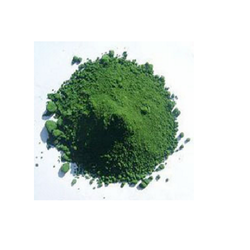 It is widely used as a Fertilizer. 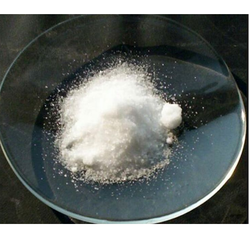 We offer a wide range of Guanidine Nitrate. 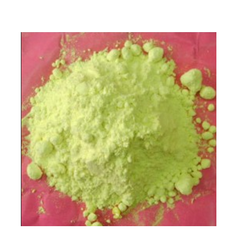 We are offering Mono Ammonium Phosphate (M.A.P. )to our clients. 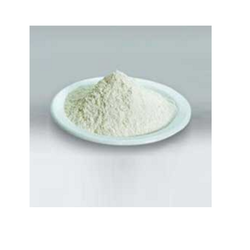 As for baking powder with sodium bicarbonate, in fermentations (yeast cultures, etc.) fireproofing of paper, wood, fiberboard etc. 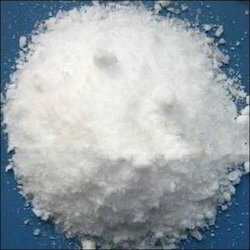 We are manufacturing and Exporting of Potassium Nitrate (Pharma). 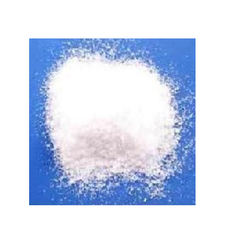 Potassium Nitrate (KNO3) Also known as saltpeter, it is used in different chemical industries. Now, these days it is increasingly used in several kinds of toothpaste for treating sensitive teeth and also used in agriculture for Obtaining quality crops, Increasing the size of crops and Disease resistance. 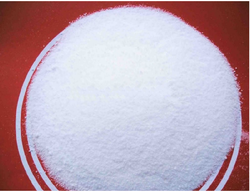 We are offering Sodium Thio Sulphate to our clients. 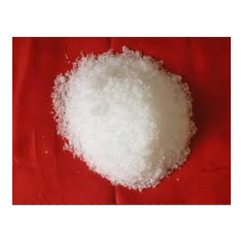 We are offering Sodium Thio Sulphate - Pentahydrate to our clients. To remove iodine stains, e.g. after the explosion of nitrogen triiodide. We are offering Sulphur Powder to our clients. 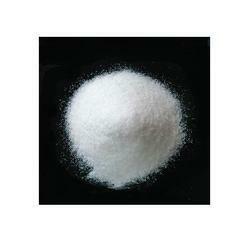 We offer a wide range of Speciality 2-Mercapto Benzo Thiazole Sulphate (MBTS). This product is also known by the name as Accelerator MBTS. Sieve Residue (0.063mm) 0.1% max. We are offeringChromium Chlorideto our clients. 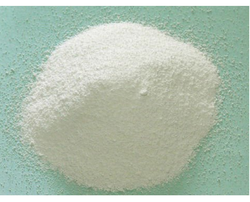 Preparation of other inorganic chemicals of organic chromium, catalysts, dye mordant polymerization adhesive and used for chromium plating. Basic chromium chloride is often used as adhesive tannage, waterproof agent. We are offering Ferric Chloride - Anhydrous to our clients. 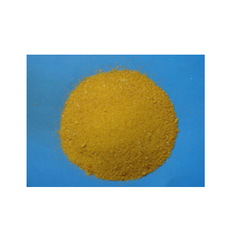 In Photoengraving, Photography, Manufacture of other Fe salts, Pigments, Ink, as Catalyst in Organic Reactions, Purifying Factory Effluents and Chlorination of Ag and Cu ores, as Mordant in Dyeing & Printing Textiles, Oxidizing Agent in Dye Manufacture. 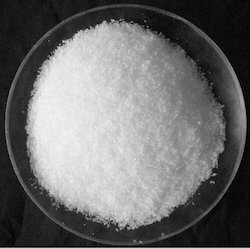 With modern processing facilities, we are able to offer Magnesium Nitrate. This product plays a physiological role in the growth of plants and trees, as it acts as the building blocks of Chlorophyll in plants. We are offering Potassium Nitrite to our clients. We are manufacturing and Exporting of Potassium Nitrate (TECH). 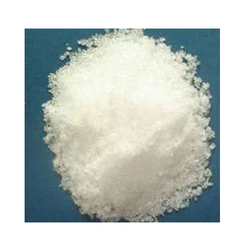 Potassium Nitrate (KNO3) Also known as saltpeter, it is used in different chemical industries. Now, these days it is increasingly used in several kinds of toothpaste for treating sensitive teeth and also used in agriculture for Obtaining quality crops, Increasing the size of crops and Disease resistance. 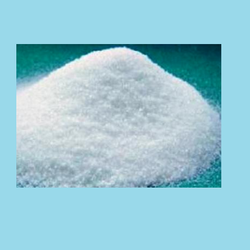 We are offering Sodium Thio Sulphate - Anhy to our clients. Photography, cattle feed, Electroplastic, Bulk Drugs. Looking for Speciality Inorganic Compounds ?